UPDATE: Samsung seeks to ban the iPhone 4S, Australian court will hear case in March | What Hi-Fi? A court in Australia is to hear Samsung's case against Apple selling its latest iPhone 4S in March 2012, but sales will be allowed to continue as normal ahead of a full hearing on alleged patent infringements. The decision by the court gives Apple at least four months to sell the new iPhone in Australia. Separately, Samsung has said it has decided not to try and block sales of the iPhone 4S in its South Korean homeland. Samsung and Apple are locked in a series of patent battles in ten countries around the world involving both firms' smartphones and tablets as they battle for supremacy in a fast-expanding market. Samsung is seeking an injuction to stop the Apple iPhone 4S going on sale in France, Italy and Australia. Samsung will cite patents which it claims Apple is using without paying for, and which relate specifically to the 3G aspect of mobile handsets. It's the latest battle in the ongoing patents war between the two companies. Apple is currently trying to prevent the launch of the Galaxy Tablet 10.1. Despite this seemingly fractious relationship, Apple is in fact Samsung's biggest customer, buying screens and other parts from the Korean giant in a deal said to be worth around £5bn. 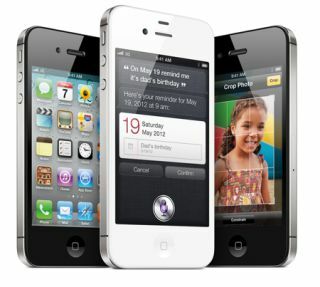 Apple announced the new and upgraded iPhone 4S on Tuesday and it's due on sale on October 14th.